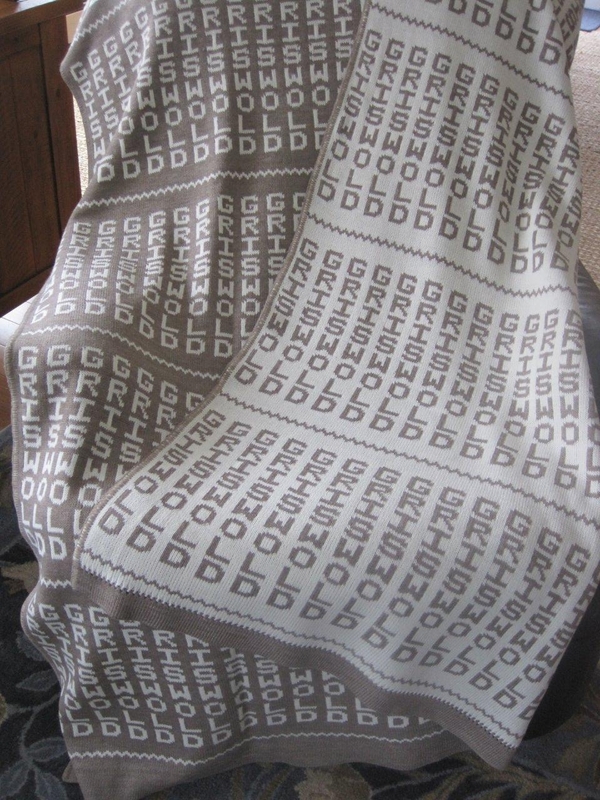 All blankets are made from 100% acrylic yarn, are machine washable and double-sided/reversible. 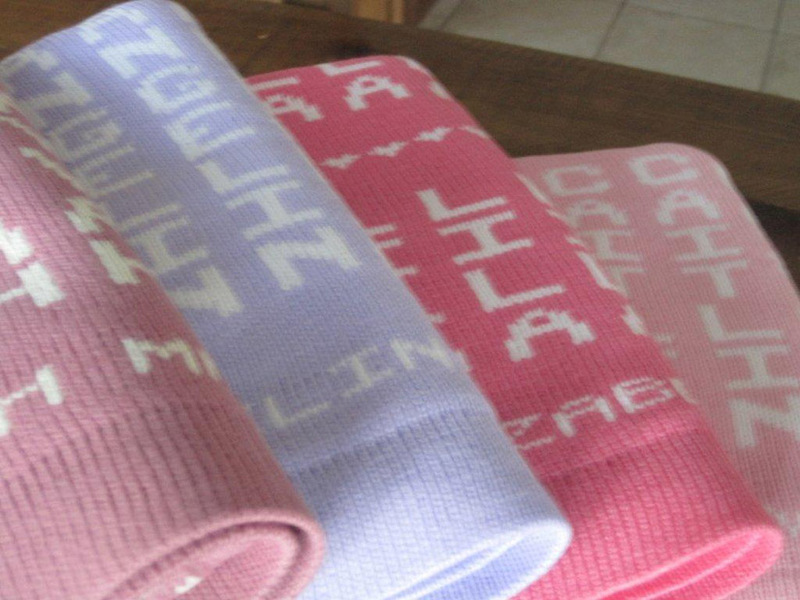 Each blanket is made with two different colors of yarn both of which can be chosen from over 15 options. Blankets come in three sizes: Baby, Youth and Adult/Afghan. Read more below for specifics on each size. 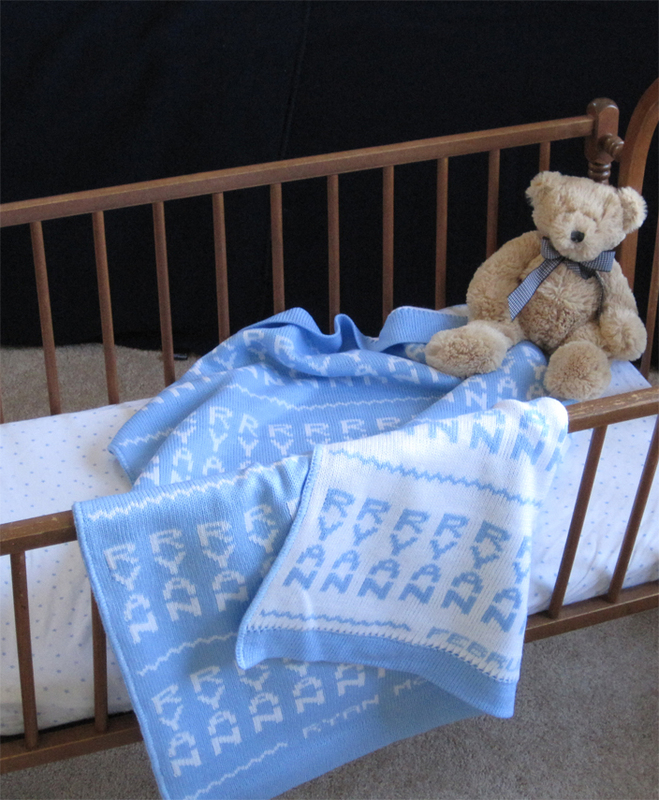 Baby Size blankets are 26″ wide by approximately 46″ long. Full name appears at the bottom of one side. Date of birth appears at the bottom of the other side. Cost is $68 plus shipping. 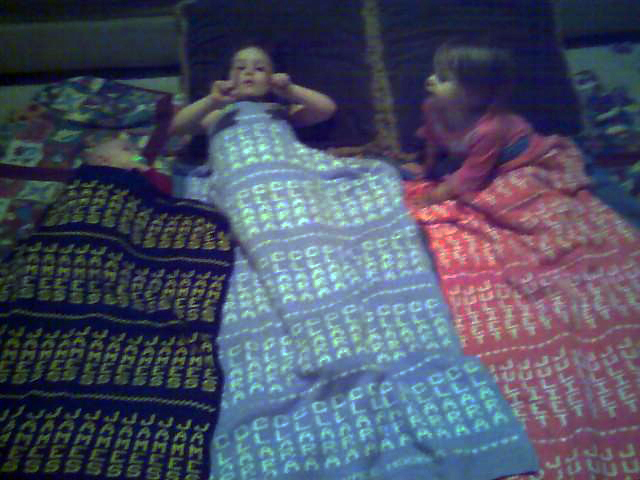 These blankets are approximately 4 ft. wide by 4 1/2 ft. long. Good for birthdays, first communions and bar and bat mitzvahs. Room for a special message at the bottom. Cost is $150 plus shipping. These blankets are approximately 4 ft. wide by 5 1/2 ft. long. Great gifts for high school and college graduations, weddings, anniversaries, retirement. A special message can be included at the bottom of each side. Cost is $175 plus shipping.